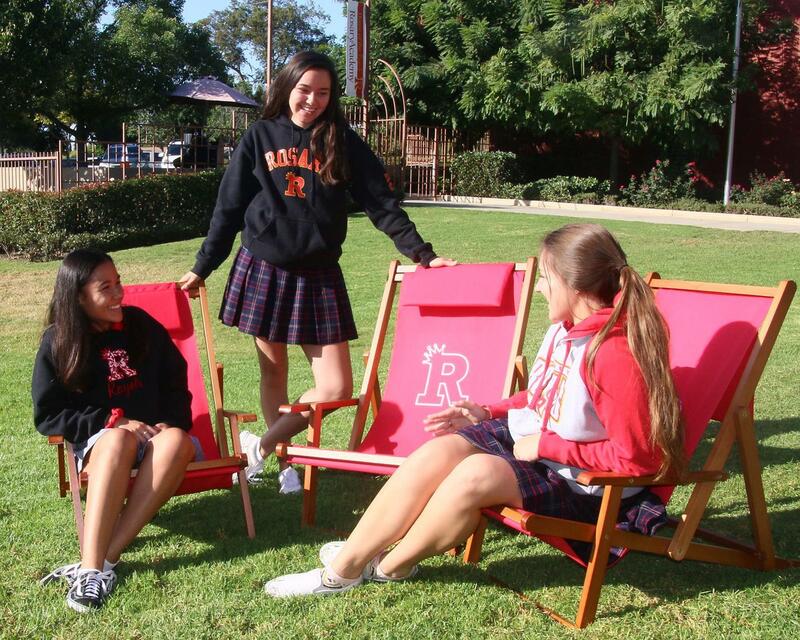 As a college preparatory diocesan Catholic high school, Rosary Academy empowers the mind, body, and spirit of each young woman in a transformative educational experience. 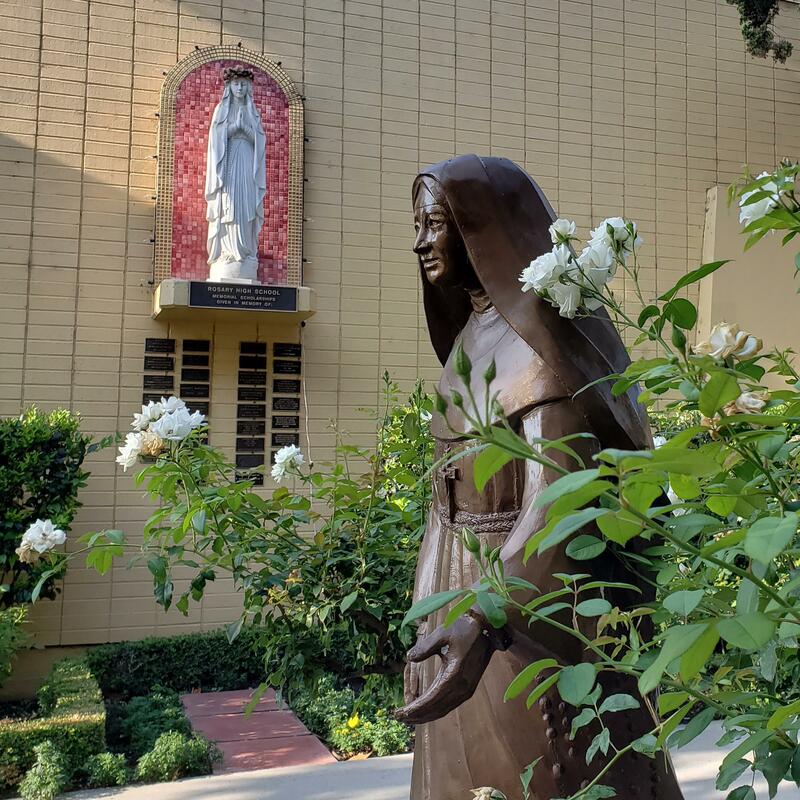 Guided by the Blessed Mother, Rosary Academy embraces and challenges its students with an innovative instructional curriculum to achieve academic success and ignite the call to serve the dear neighbor. 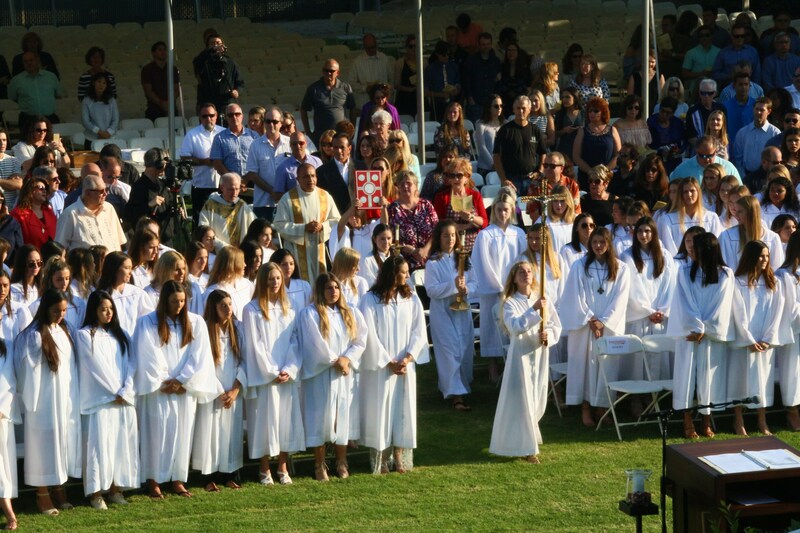 The Rosary community includes faculty, staff, administration, students, alumnae and families. We believe in the value of the family unit as the primary educational environment for our students; therefore, we work to assist the family in this endeavor. We strive to provide a faith community which accepts Jesus Christ as the Way to respond to one’s neighbor, the Truth to be communicated, and the Life to be shared. We uphold the dignity and uniqueness of each individual within the community experience. We endeavor to provide guidance for her journey of faith and opportunities for her growth and development as a daughter of God. 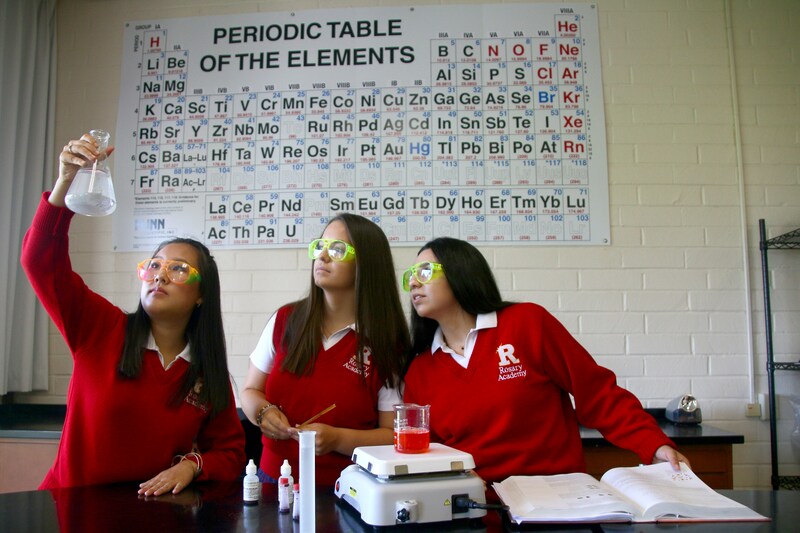 Rosary Academy offers a diversified college preparatory curriculum complemented by an extensive co-curricular program. We challenge each student to acquire and refine the skills necessary for a fulfilled, well-balanced life. The faculty and staff are strongly committed to developing in our students academic excellence and technological competence in all areas. We seek to cultivate leadership skills, initiative, personal accountability, and an increased sense of self-worth. 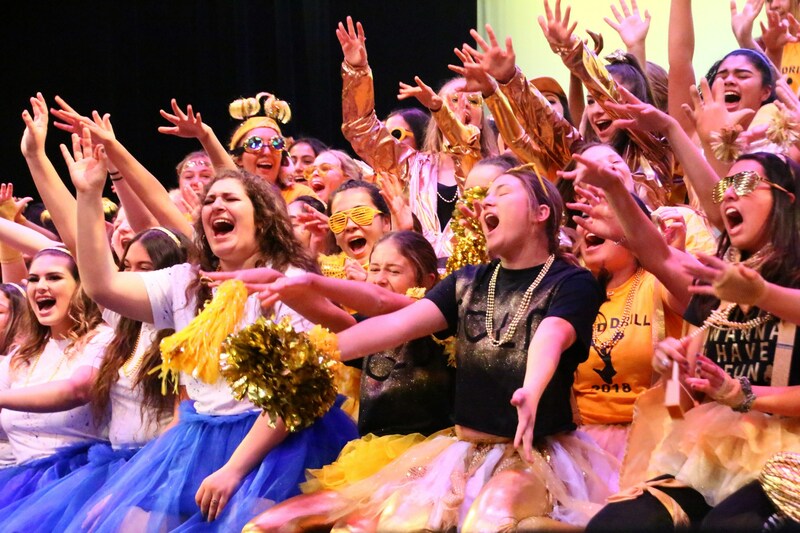 The goal of the Rosary community is to empower each student to become a woman of faith and a citizen who is knowledgeable, creative, ethical, and responsible. In the face of our multi-cultural constantly changing world, we call upon each young woman to become a contributing member of society and a lifelong learner who appreciates the value of both culture and creation. We are committed to helping each young woman recognize herself as a positive force within the greater human society. 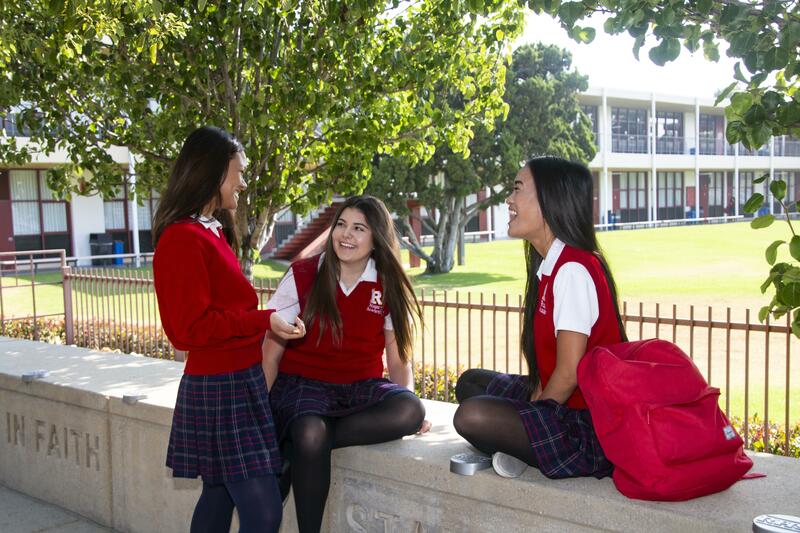 Rosary Academy provides an environment in which students become integrated, holistic young women who think critically, communicate effectively, and embody their religious faith. Communicates essential elements of Catholic beliefs, liturgy, and traditions. Gives evidence of faith in her choices, ethics, service, and commitment to social justice. Demonstrates her commitment to ongoing spiritual development. Understands and respects religious, ethnic, and cultural diversity. Gathers, organizes, analyzes, synthesizes, evaluates, and creates information and uses it to solve problems. Effectively works independently and collaboratively. Sets goals, establishes priorities, and makes informed decisions. Uses oral, written, and visual forms of communication. Utilizes practical and technological methods to access and apply information. Listens openly and respectfully to the ideas and opinions of others. Expresses her opinions insightfully, intelligently, and respectfully. Commits to understanding a world vision and making a beneficial difference among the global community. Acknowledges and develops the spiritual, intellectual, creative, physical, social, and emotional dimensions of life. 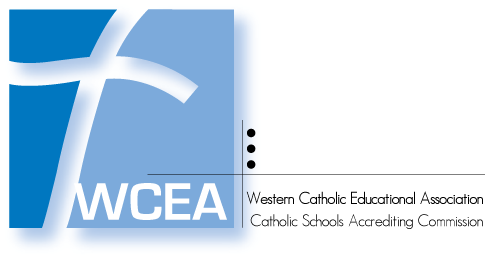 Rosary Academy is accredited by the Western Catholic Educational Association (WCEA) and is co-accredited by the Western Association of Schools and Colleges (WASC). 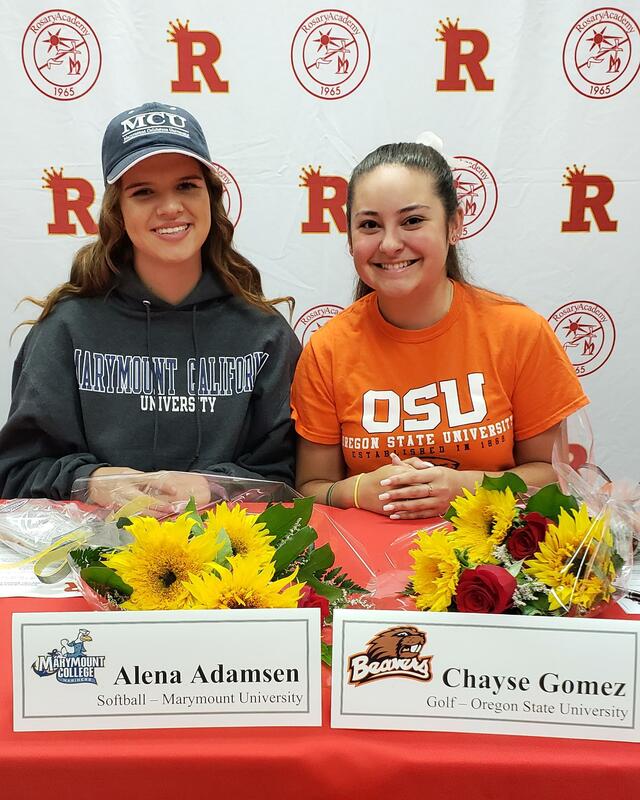 Why attend an all-girls school?